Master Jun Hong Lu has been our spiritual Leader and Patron since we started our organisation. Master Lu was born on 4th August 1959. He is the President, Director, and Founder of the highly regarded 2OR Australia Oriental TV and Radio station. The charity has been registered under the United Nations Global Compact as a Non-Government Organisation (NGO) since July 2015. He is also the founder and spiritual leader of Guan Yin Citta Dharma Door (Part of Mahayana Buddhism). Master Lu has been helping people for decades without asking for any material returns and has traveled all over the world to propagate Buddhist teachings. Since 2010, in response to the invitations from followers around the globe, Master Jun Hong Lu and his Dharma Propagating Group have held almost 40 grand Dharma function in major cities in Australia; New York, Los Angeles and Boston in the US; Toronto in Canada; as well as Singapore, Malaysia, Hong Kong, UK, France, Germany, Denmark. 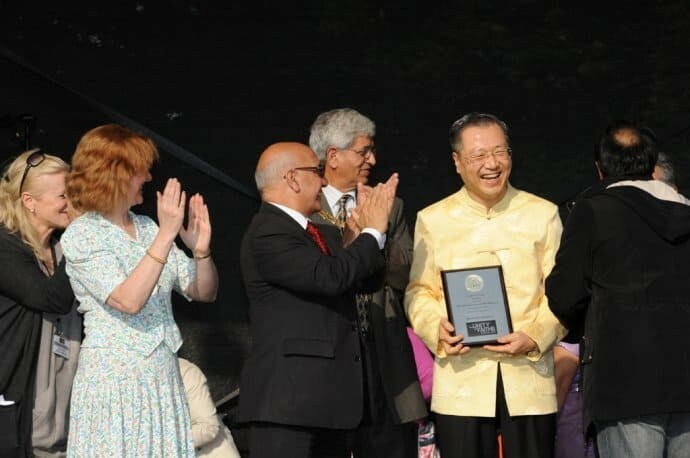 On July 8th 2012, Master Jun Hong Lu attended the ‘Unity of Faith Festival’ in London, United Kingdom as part of the celebration of the Queen’s Diamond Jubilee. 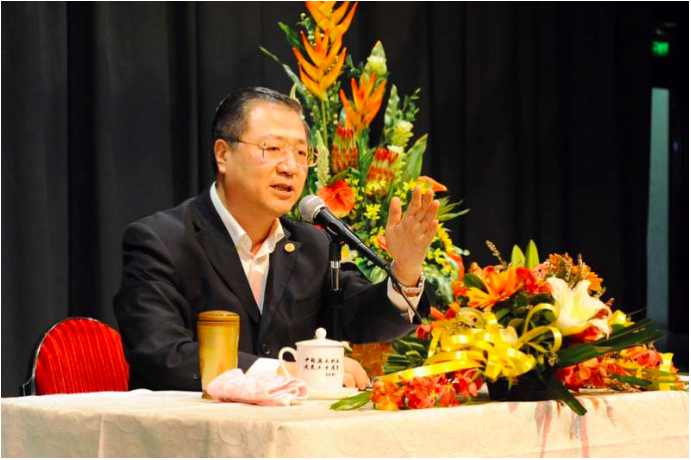 As the founder of the Guan Yin Citta Dharma Door, which has over 5 million followers, Master Jun Hong Lu attended the event as an Honourable Guest. He was honoured with the ‘World Peace Award (Buddhism)’ in recognition of his efforts in promoting Chinese culture and Buddhism to help people around the world. The award also recognises Master Jun Hong Lu’s efforts in developing and strengthening the cultural exchange of the east and west, promoting the wellbeing of the body and soul, and supporting the peace and harmony of society. The award ceremony was held in Upton Square with an attendance of over 40,000 people on the day. Attendees included the Deputy Mayor of London, members of the British parliament, members of the organising committee of the event, members of consulates, dignitaries, and religious leaders. Her Worshipful Victoria Borwick, the Deputy Mayor of London, and members of parliament presented the award. Major British media, including BBC, made live coverage of the event. This was the only major award presented at this event. On September 29th 2012, Master Jun Hong Lu was invited to Harvard University to give a public talk. Master Jun Hong Lu was in the United States to propagate Mahayana Buddhism and Chinese Chan culture. He was warmly welcomed by Buddhist followers worldwide. This was another highly anticipated event, after the Master Jun Hong Lu was honoured with the ‘World Peace Award (Buddhism)’ in July 2012. Master Jun Hong Lu’s talk was held at the John Knowles Paine Concert Hall in Harvard University. Followers came from all over the world, including Boston, New York, Washington, Seattle, San Francisco, and California in the United States, as well as Canada, France, Denmark, and Belgium. With great love and respect, many elites, students, and young professionals, as well as the abbot of the Thousand Buddha Temple also attended the event. The atmosphere of this grand event was warm and harmonious. On October 1st 2012, Master Jun Hong Lu was honoured with the ‘British Community Honours Award’ at the House of Lords, United Kingdom. The award was presented by members of the British Royal Family. This is one of the highest recognitions in the Commonwealth ethnic communities.